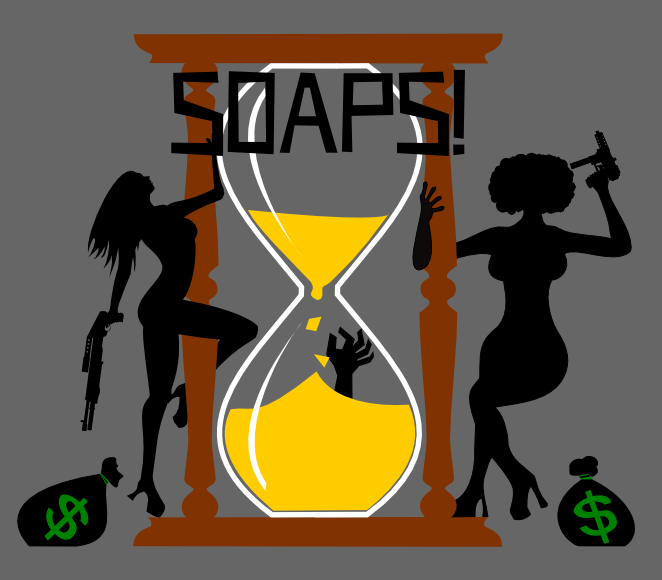 SOAPS! is an add-on for Fiasco! that allows characters to return to future FIASCO games while retaining important details such as their Needs, Relationships, Locations, Accomplishments and Regrets. As few as two players can use play SOAPS! to engage in rich multi-character role-play. Rather than playing one character for the full game, in each scene the Director assigns characters from the Stable. SOAPS! drives character development by allowing players to add experiences and change traits on their character sheet, permanently recording each character’s perceived relationships and needs. The system rewards the perpetuation of drama between characters, giving the game it’s “soap-opera” feel. SOAPS! characters are played by different people every scene, which encourages players to take dramatic risks they might otherwise shy away from.